At Laydex, we are constantly inspired to improve results and provide our customers with innovative solutions. 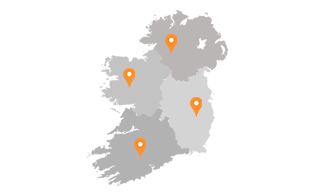 Each member of our team plays an important role in our success as one of the leading distributors on the Irish Construction Market. Laydex is not just about the products and brands; it’s also about appreciating our colleagues, customers and business partners. We continuously aim to ensure a culture that promotes a work-life balance in order to maximize individual and organizational potential. Check out the latest job vacancies! Learn more about Laydex and what it’s like to work with our team in the About Us section or visit our social media sites on LinkedIn, Twitter or Facebook.